Add a sleek shot of sharp, sophisticated shine with the Ann Side Table, designed by Guillermo Gonzalez and made by Modloft. 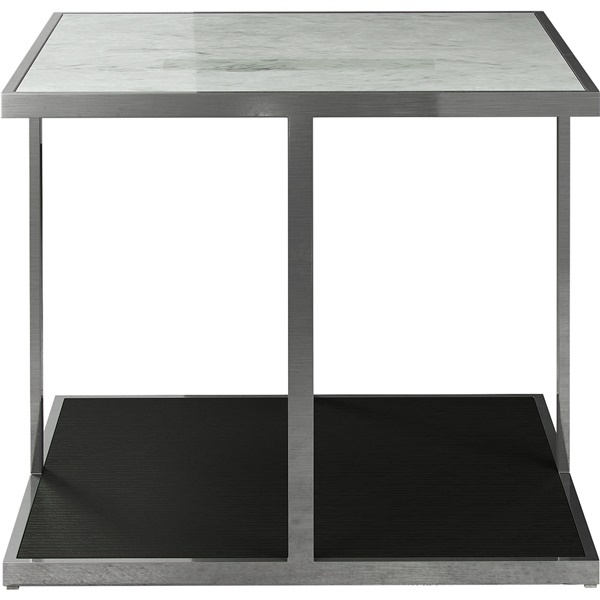 A polished-steel frame provides more than just sturdy support of a lush, white Italian marble surface and a dark and dusky wenge-finished wood base. It�s a piece that brings a bold graphic touch to a clean-lined contemporary domestic or professional setting, whether displayed on its own or as a companion to Modloft�s Ann Coffee Table. A sophisticated choice for both home and business environments. Clean-lined contemporary style with subtle shine. Expertly designed by Guillermo Gonzalez. Quality wood base finished in dark wenge. 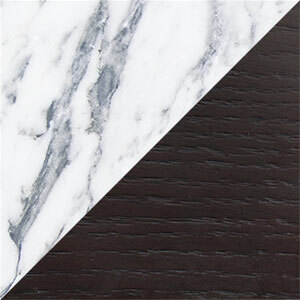 Smooth and durable Italian marble surface.